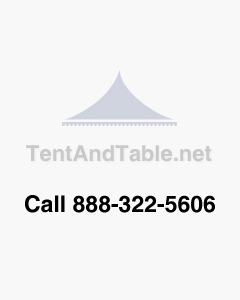 96" Rectangle Wood Banquet Folding Tables are versatile use tables that are an excellent addition to just about any situation. These tables have near limitless possibilities for everyday use and are also a great addition to your catering facilities or rental business. These versatile tables are ideal for a number of different commercial, residential, indoor or outdoor settings such as Restaurants, Banquet Halls, Weddings, Church Bingo, Office furniture and even in your personal home. All metal parts are made from 16 gauge, cold-rolled steel tubing that is 1" in diameter and powder-coat finished. The tables come with hinged diagonal braces that allow the legs to fold inward, making these tables simple and quick to stack for storage and moving. In addition, the legs lock positively in open and closed positions and are secured to the table top with flat head carriage bolts, lock washers, and nuts. Full-length wood runners are attached with carriage bolts and nuts to stiffen the top and help facilitate table stacking. Table comes with your choice of chair style and color. Choose between 8 Poly Plastic Fan-Back style, 10 Standard Poly Plastic, 8 Standard Resin or 8 Slatted Resin folding chairs.